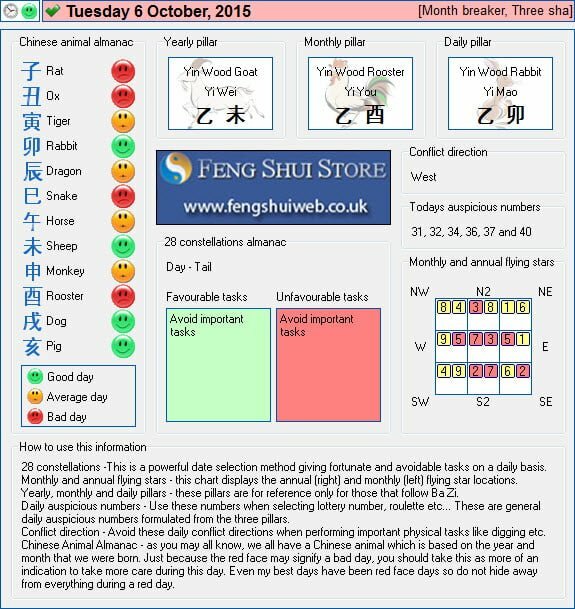 Here is the Free Feng Shui Tong Shu Almanac for Tuesday 6th October 2015. I had a similar situation to you earlier this year; our boiler had to be replaced in the northeast and luckily, a friend of mine is a plumber and I got him to keep noise down as much as possible and where possible, avoid power tools. I hung a six metal rod wind chime in the area and made sure that noise was kept to a minimum and the only problem I got from the experience was a big dent in my wallet from the new boiler cost. I would not worry too much, Abbie; just ask the plumber to try and keep noise down (you could say you have elderly neighbours) and also hang a wind chime in the northeast.